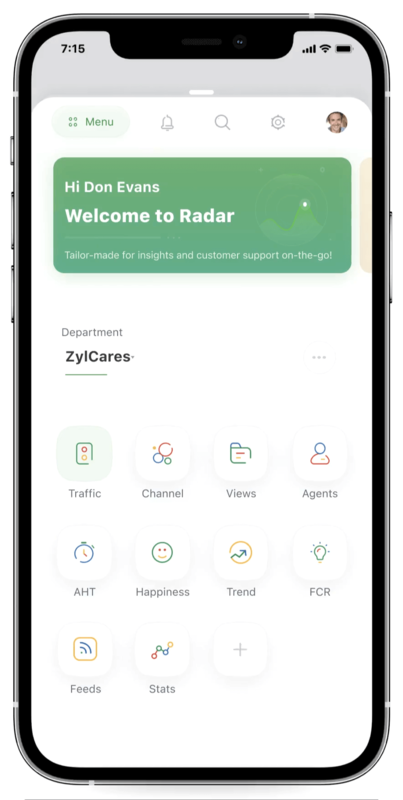 Radar by Zoho Desk - All the metrics you need at your fingertips. Keep your insights in sight, with Radar. In customer service, the value of management lies in handling the exceptions—those requests that don't fit into your daily routine easily. When you're away from your desk, how do you catch exceptions proactively? 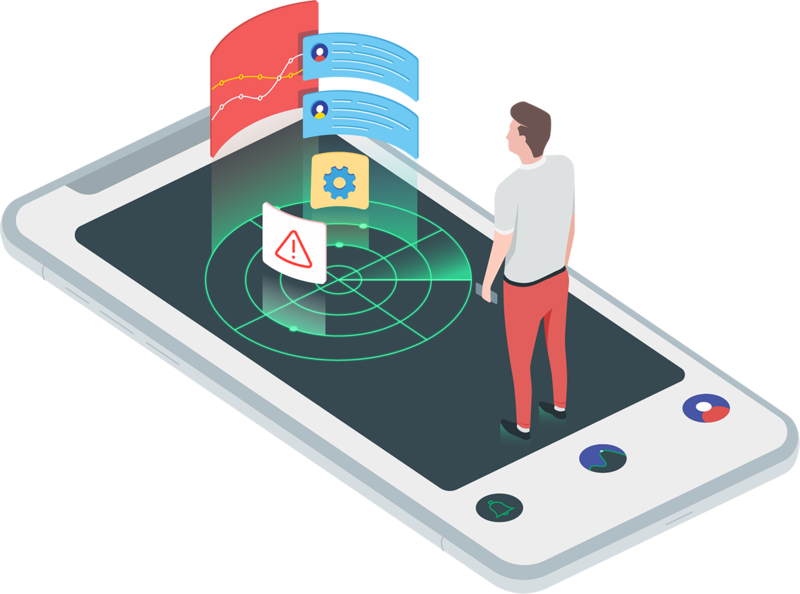 Introducing Radar—a mobile app that brings exceptions to your attention through simple and intuitive dashboards. Real-time stats at your service. 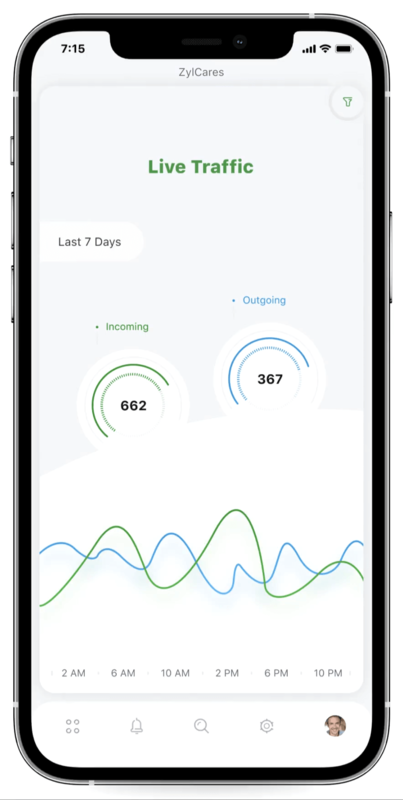 Radar gives agents and managers a quick overview of vital customer service stats like Live Traffic, Channel Traffic, and Happiness Ratings. Agents get a better picture of tickets that need urgent attention, and managers can analyse agent performance and step in for damage control wherever necessary. All from the convenience of their mobile phone. Anomalies are tough to spot when data accumulates over time. Radar cuts through the clutter by bringing exceptions to your notice right away. Set pre-defined standards to metrics and any deviation from them will trigger an alert message to the agent or manager concerned. When exceptions are caught early, you know you're doing a good job! Radar can be tailored to suit your requirement whether you're a manager or an agent. Choose dashboards based on the stats you'd like to keep an eye on and extensively customize their look and feel. This way, everyone gets the information they need, when they need it, without stepping on each other's toes. Keep your team in plain sight. Stay clued-in to team conversations even when you're away from your desk. Radar brings the Team Feed right to your fingertips, so you don't miss a beat! What's more, you can also reply to tickets, chat with agents, and post announcements, all from within the app. Customer service, on the go. 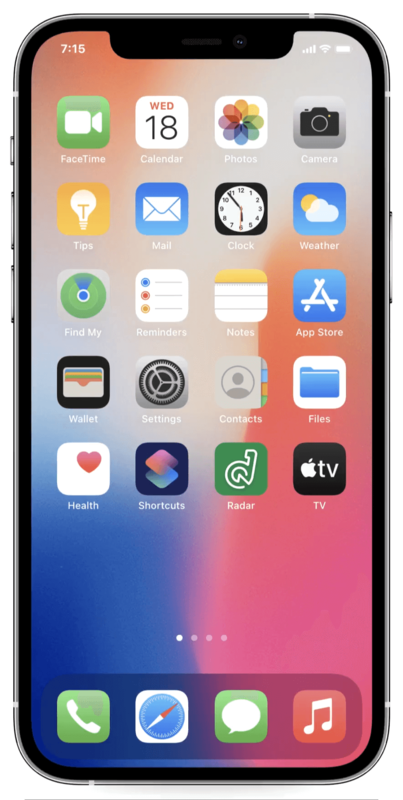 With the Zoho Desk app for iOS and Android, agents can collaborate with their team and provide top-notch customer support, from wherever they are. 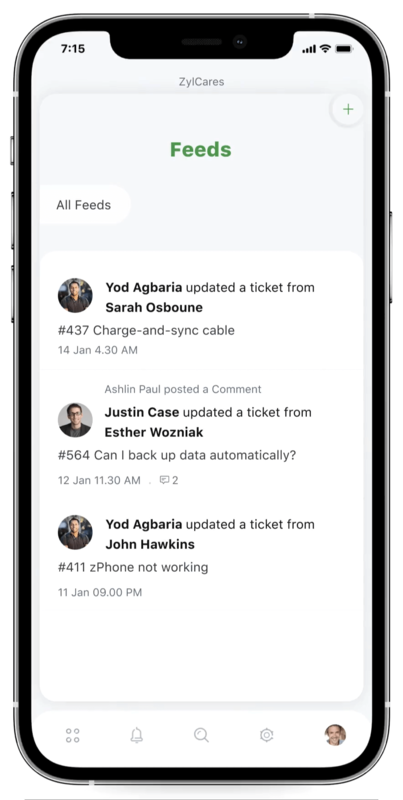 They can reply to tickets instantly, and get notified every time a new response is received. All this from the comfort of your mobile device. Put customer happiness on your radar.